Cathode Ray Tube: DOCTOR WHO - Win a copy of THE ONLY GOOD DALEK! 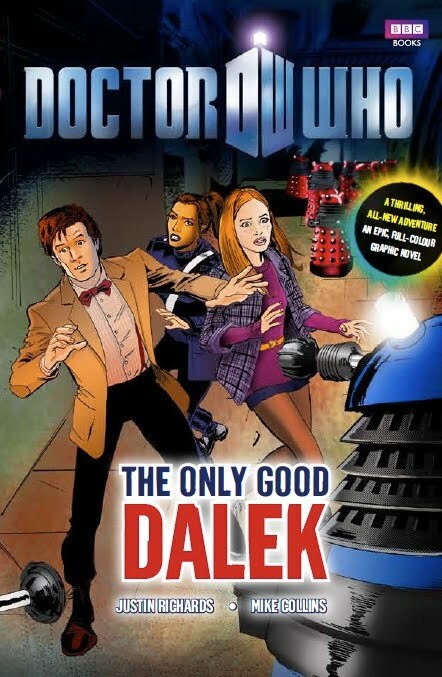 DOCTOR WHO - Win a copy of THE ONLY GOOD DALEK! The Only Good Dalek is the first, full-length Doctor Who graphic novel from BBC Books. It's an exciting tale that should please all Dalek-obsessed fans of the series, old and new. A bold, epic space opera from writer Justin Richards and artist Mike Collins, the book features the on-going war between Earth, in the form of Space Security (and yes, Bret Vyon and his sister Sara Kingdom get a passing mention), and the evil Daleks. The story takes place on Station 7, where the Earth Forces have secretly amassed all the Dalek tech captured during the war. The Doctor and Amy arrive just as the Daleks have found out where Station 7 is located. They're looking for the 'abomination' and will do anything to destroy it. The station's commander must take a huge risk to defend it, using Daleks to fight Daleks, but nothing is what it seems in this thrilling page turner. 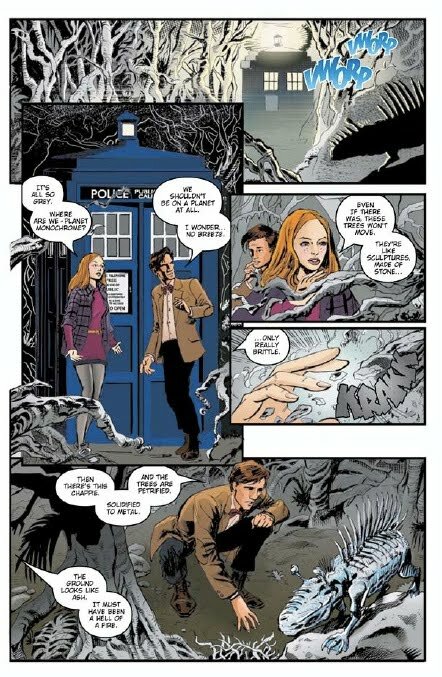 Along the way, the Doctor and Amy battle the Slyther (or should that be Slythers, plural? ), Ogrons, Robo-men and, of course, thousands of Daleks! 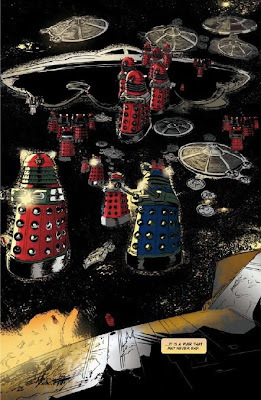 It even has Magnetons and preserved bits of Skaro featured in it. Cathode Ray Tube has a copy of The Only Good Dalek up for grabs this month, courtesy of BBC Books and Ebury and you just need to answer the question below. Good luck! The competition is now closed. Congratulations to the winner, Steve Haywood. This competition is open to residents of the UK only, but not to employees of BBC Books and Ebury Press or their agents. This offer cannot be used in conjunction with any other offer and no cash alternative is available. No responsibility will be accepted for delayed, mislaid, lost or damaged entries whether due to system error or otherwise. Only one entry per visitor per day. No multiple entries allowed. The winner will be the first entry drawn at random. The winner will be contacted by email. The book will be posted within 5 days of the competition closing (unless delayed by postal strikes). Entrants are deemed to accept and be bound by these rules and entries that are not in accordance with the rules will be disqualified. Question: Who designed the Daleks for the first Dalek television serial in 1963?